Want Success with Total Joint Replacement Outpatients? Teach Them Well! As more hospitals turn to same-day discharge for joint replacement patients, it’s more important than ever to make sure those patients know what to expect, how to care for themselves post-op and how to get the most from their recovery at home. Outpatient total hip and knee replacements have been offered at ambulatory surgical centers (ASCs) and some hospitals for about 17 years now. Faced with increased competition from ASCs, however, the past couple of years have seen an uptick in hospitals introducing the outpatient procedure. This past December, CMS approved Medicare coverage for outpatient total knee arthroplasty (TKA) at hospitals, effectively expanding their patient base for this procedure to an older group—healthy Medicare beneficiaries. And “healthy” is key for this outpatient surgery. Surgeons credit improvements in surgical technique, anesthesia and pain control for getting the healthiest outpatients up, moving and home within a few hours of joint replacement surgery, and for up to 50% less in medical costs. As a rule, they generally don’t recommend outpatient joint replacement for patients with heart disease, high blood pressure, obesity, uncontrolled diabetes or other major conditions that could put them at risk during or after surgery. They want fit, active patients who are motivated for recovery, whether they’re in their 40s or their 70s. No matter how healthy or fit, however, all joint replacement surgery patients need to know what to expect and how to prepare for their surgery and recovery. Mobile patient education throughout the care episode—before, during and after hospital care for joint replacement—can meet those needs, yielding fewer complications and readmissions, and better patient satisfaction and outcomes. Because TKA outpatients undergo shorter surgeries and are sent home within hours of their procedure, they may have less interaction with clinicians than inpatients who remain hospitalized for a day or 2 post-op. Couple that with research findings that up to 80% of the medical information patients receive from a provider during an appointment or inpatient care is forgotten immediately—and nearly half of what’s remembered is remembered incorrectly—and you can see why targeted patient education is crucial, perhaps even more so for an outpatient. 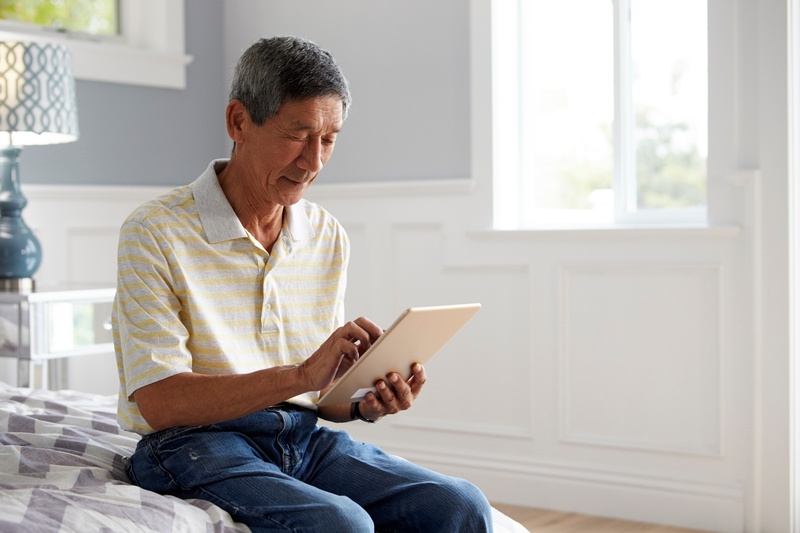 Using mobile technologies (email and text) is an effective way to connect with your patients throughout their care episode to set expectations, guide preparation and ensure that they get the information they need when they need it. The more that joint replacement surgeries occur on an outpatient basis, the more important that connection will become. Outpatient total joint replacements are not immune to regulatory scrutiny, including around unplanned hospital readmissions. Watch for future blog posts on this issue to learn how effective patient connections can help reduce complications and readmissions, and boost overall outcomes.